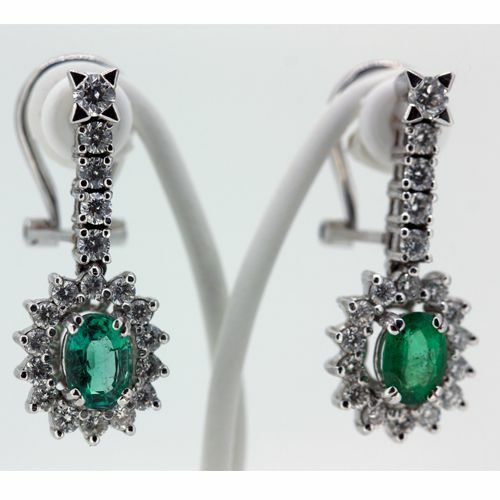 Long gold earrings, with emerald and diamonds. 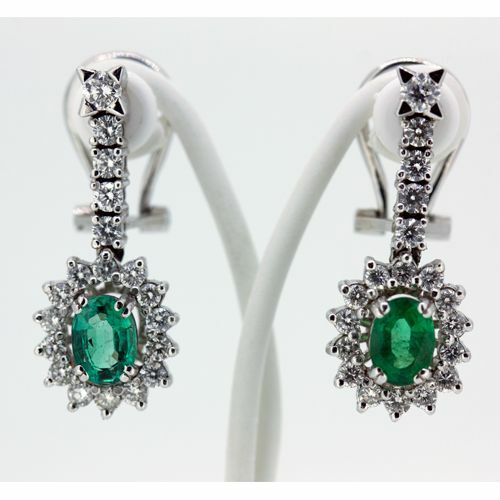 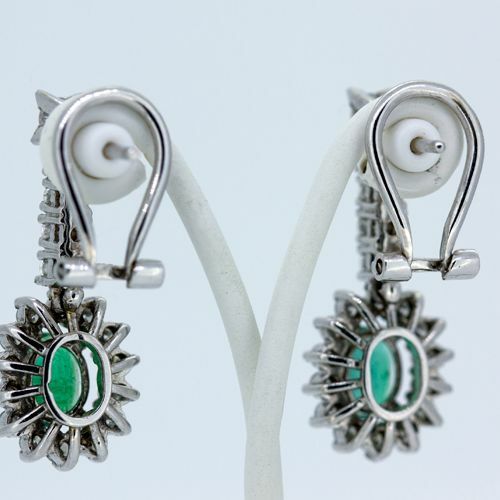 Earrings in 18 kt white gold, with oval cut emerald and brilliant cut diamonds. 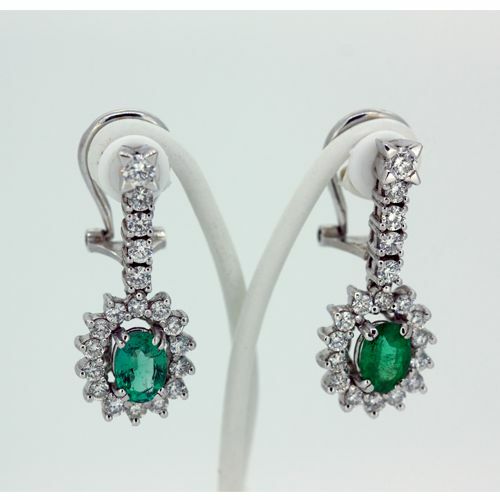 38 diamonds (weighing approximately 1.75 ct), colour H, clarity VS.
2 oval cut emeralds, weighing approximately 1 ct each.